The Sisters of the Sacred Heart or Religious of the Sacred Heart (rscJ) refers to the Sisters who serve in the schools of the Society of the Sacred Heart. 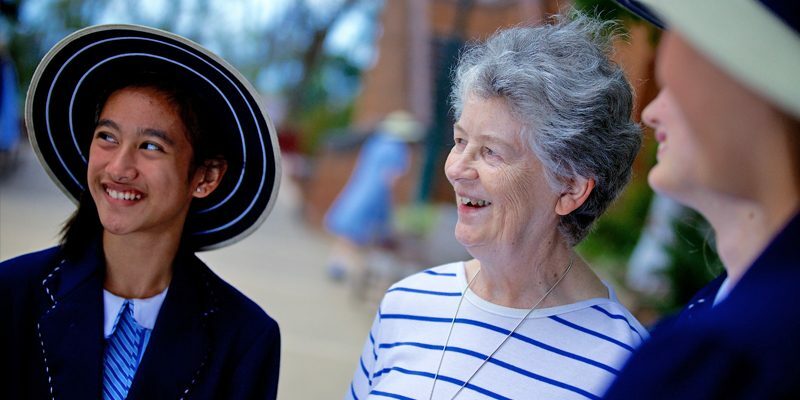 The charism, or mission, of the Sacred Heart Sisters is to discover and make known the love of God, and reveal it to the world through the service of education. The Religious of the Sacred Heart sign their names followed by rscJ, which is derived from the French term Religieuse du Sacré Coeur de Jésus. Stuartholme School is blessed to still have the rscJ actively involved in the daily life of the School. We are indebted to the Sisters who provide strong links to the Sacred Heart charism. Stuartholme School is blessed to have Sister Rita Carroll rscJ as our devoted Chaplain. As an rscJ, Sister Carroll works in collaboration with the School Board and Leadership Team, providing spiritual and educational guidance for Stuartholme.